When back and neck pain strike, this debilitating condition can stop you from living a full and active life. Here at Skye Chiropractic, our team is committed to helping our patients naturally manage Back Pain & Neck Pain. Whether the cause is due to whiplash from a car accident injury or pain from a workplace injury, our patient-proven treatments will help you become active again without the need for prescription painkillers or invasive surgery. Dr. William Perks and Dr. Brian Yost both approach pain management differently than traditional medical care. 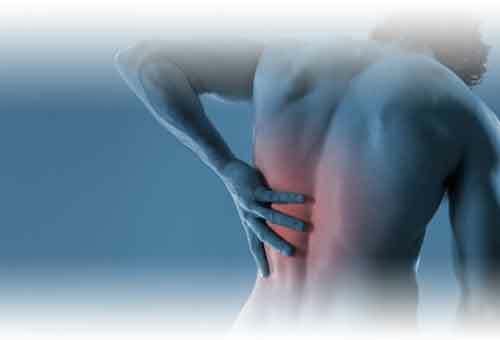 Our focus is not only relieving your back pain, but also identifying the underlying cause for your pain or illness. When the body is out of alignment, the nerves are unable to properly send and receive messages. A recent injury or an accident that happened years ago may be the cause for this misalignment. Something such as a herniated disc can compress nearby nerves, ultimately leading to chronic pain. Until the disc is restored to proper alignment, the pain will continue. This helps explain why so many patients become dependent on prescription painkillers. These medications only "mask" pain rather than treating the cause. Our Louisville chiropractor can correct the underlying cause enabling you to find relief with pain management and healing. A car accident injury is one of the most common causes of neck pain and back pain. Even accidents at slow speeds, such as a 'minor' fender bender, can whip the neck backwards and forwards. Whiplash causes serious damage to the cervical spine and strains the soft tissues in the neck. When the neck is out of alignment, patients may experience neck pain, migraines and even difficulty concentrating. While prescription painkillers can temporarily relieve neck pain and migraines, as long as the cervical spine is out of alignment, patients will continue to suffer from pain and be at risk for future injury. Many patients also suffer from back pain or a herniated disc. This may be caused by improperly lifting an object, an accidental slip and fall at work or a traumatic accident injury. When a herniated disc compresses nearby nerves, such as the sciatic nerve, patients may experience a radiating back pain sensation down throughout the legs, buttocks and lower back. Gentle, hands-on chiropractic adjustments are a safe and effective treatment for correcting the herniated disc and relieving pressure on the nerves. In addition to chiropractic adjustments, we offer complementary therapies to speed internal healing and enhance pain relief. For example, cold laser therapy can help injured cells heal, and can especially effective for targeting chronic back pain, shoulder pain and neck pain. We also use applied kinesiology and digital x-rays to specifically diagnose the underlying cause of injury and back pain. Applied kinesiology uses bioenergetics feedback to pinpoint the causes of pain within the body. By correctly determining the cause, we can create customized treatment plans tailored specifically for your unique wellness needs. Unfortunately, neck pain and back pain will not heal itself. Without proper treatment, patients will continue to experience the effects of migraines, neck pain and back pain. Are you ready to get healthy? Let our Louisville chiropractors help you today!